Keep the gasket around the door clean and tight. The gasket is the rubber seal around the doors that is crucial in keeping the unit sealed and the warm air out. 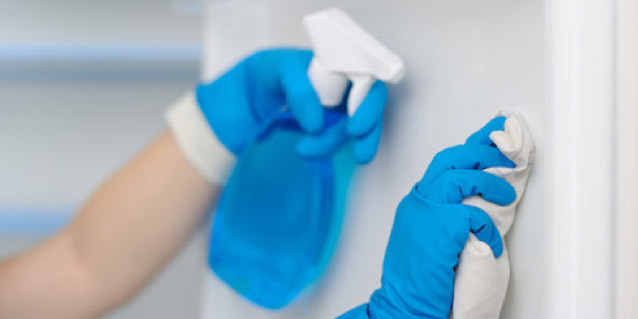 You should clean it on a regular basis with a multi-purpose cleaner. It is also important to undergo regular inspections and make sure that the gasket is doing its job. Gaskets get worn out over time and need to be replaced. It is common for one to need to be replaced every two to three years. If the gasket is not working properly, warm air is able to enter the refrigerator or freezer and the unit must work harder to stay cool. Clean the interior weekly. Remove any spills and crumbs from the shelves and the walls. You can use a soft damp cloth or an all-purpose cleaner. Make sure you also clean the handles and the doors. Make sure to remove the items that are no longer fresh, too. If you have a stainless steel unit, a specific cleaner will make the task easier. If your refrigerator has a water filtration system, get a experienced and professional refrigerator repair technician like us to replace it as needed. If you are not sure how often to change it, do so at least every six months. The longer a refrigerator doors remain open, more cool air escapes into the surroundings causing the fridge to have to work harder to cool the insides down again. This shortens the lifespan of the compressor unit inside your appliance. Keeping this very important appliance clean and well taken care of is the best thing you can do for it. Try the tips shared here and you'll be glad you did, it’ll save you money and time in the long run. If for any reason you need any fridge repair services, you can contact us and we'll be glad to help.